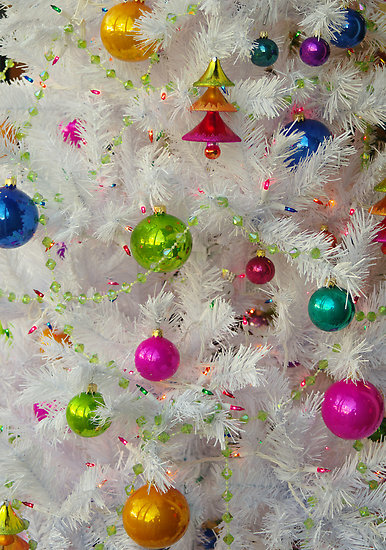 In the corner of my home office is a sweet, skinny white Christmas tree glowing with colorful mini lights. I leave it up year round with lights blazing twenty-four hours a day. Most people might think this is unusual or even odd, but I love the idea that every day is Christmas for believers. We are in the post-Easter season and have recently celebrated the resurrection. This is the most momentous and important day for Christians. But I daily celebrate the arrival of the newborn baby, born in lowly surroundings and witnessed by shepherds and their flock. Such humble beginnings for a King. I long for His return. My Christmas tree reminds me to celebrate the life, birth and the arrival of Immanuel. He makes my daily happiness complete and my future is certain. Who wouldn’t want to celebrate that?